The cathedral is one of the most famous and most recognisable sights of London. Its dome, framed by the spires of Wren's City churches, dominated the skyline for 300 years. At 365 feet (111 m) high, it was the tallest building in London from 1710 to 1967. The dome is among the highest in the world. 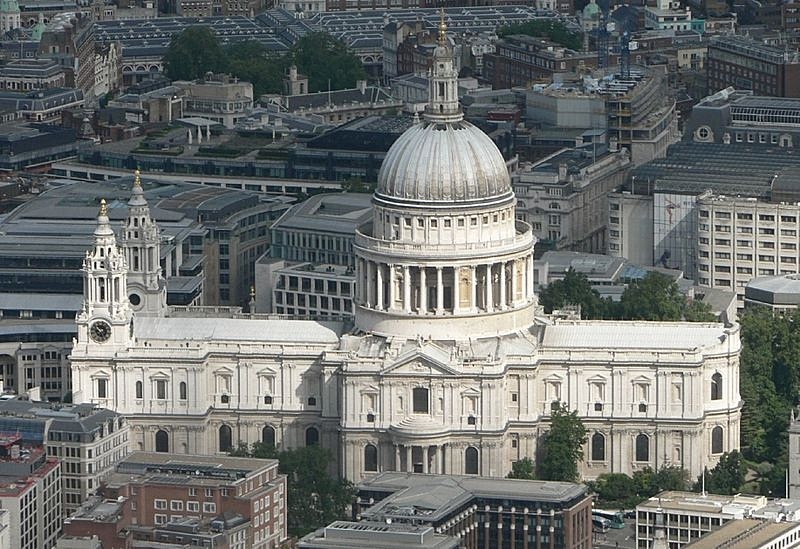 St Paul's is the second largest church building in area in the United Kingdom after Liverpool Cathedral. O. M., G. C. S. I., G. C. I. E. (Received the V. C. during the Indian Rebellion of 1858). General Staff and Col.-Commandant, Royal Artillery, Col. Irish Guards, died of pneumonia on 14th November 1914, aged 82. 1st Earl of Kandahar, Pretoria and Waterford. Born at Cawnpore, India. Privy Counsellor. Son of the late Gen. Sir Abraham Roberts, G.C.B., and the late Lady Roberts; husband of the late Countess Roberts, C.I., R.R.C., of Englemere, Ascot, Berks. Educated at Eton, Sandhurst and Addiscombe. Commissioned to the Bengal Artillery (Dec., 1851); served throughout the Indian Mutiny 1857 (V.C. ); and the Abyssinian (1867-68) and Lushai (1871-72) Expeditions. Also served in the Afghanistan Campaign (1878-80) and Commanded the Kabul-Kandahar Field Force Aug.-Sept., 1880. 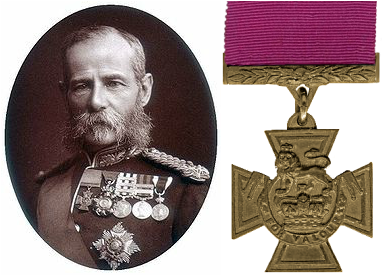 Commanded the Forces in Ireland (1895-99); Commander-in-Chief in the South African War (1899-1900). Commander-in-Chief in India (1885-93) and at Home (1901-04). Master Gunner of St. James' Park and Colonel-in-Chief of Overseas and Indian Forces in the United Kingdom during the Great War. Citation; An extract from the "London Gazette," dated 24th Dec., 1858, records the following:- "On the 2nd January 1858 at Khodagunge, India, on following up the retreating enemy, Lieutenant Roberts saw in the distance two sepoys going away with a standard. he immediately gave chase, overtaking them just as they were about to enter a village. Although one of them fired at him the lieutenant was not hit and he took possession of the standard, cutting down the man who was carrying it. He had also on the same day saved the life of a sowar who was being attacked by a sepoy."